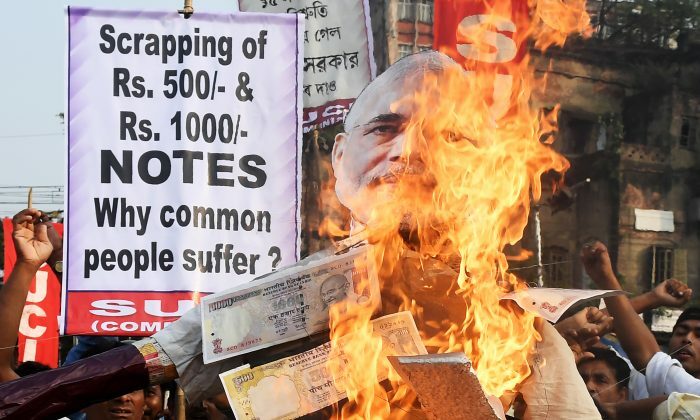 Protesters burn Indian prime minister Narendra Modi's effigy, decorated with posters of rupee notes, during a protest rally in Kolkata on Nov. 14, 2016. The history of paper fiat currency destruction goes back at least 1,000 years, to when it was invented by the Chinese. In the modern day, we have seen the destruction of dozens of others—in Zimbabwe, Venezuela, Turkey, Argentina, Iran. and more. There’s also the stealthier destruction of “first world” currencies like the dollar, euro, and yen—whose inflation has been more akin to “frogs in a boiling pot” than chaotic hyperinflation. In a nutshell, fiat currency is a Ponzi scheme that must grow larger to survive—which is why every instance has ended in failure. But there is a far more sinister destruction now happening in what was already one of the world’s most poverty-stricken nations, India. It began with a central bank, disguising itself as “Western” and “modern,” that kept on printing money more like a developing country central bank. But the death blow was struck two years ago by Prime Minister Narendra Modi, a wolf in sheep’s clothing who ran for office under the premise of supporting the masses, only to change their life for the worse with a “cashless society” decree two years later. His goal to eliminate paper banknotes has wreaked havoc, especially among the nation’s poor. India’s monetary history has been wrought with disaster, from the day it declared independence from the United Kingdom in 1947. Then, the rupee exchange rate was three to the dollar, compared to this week’s all-time low of 72 to the dollar. The trend downward has been steady and tortuous, as the handful of elitists running its government catered to the whims of leading Western central banks like the Federal Reserve and European Central Bank, lining their pockets in the process and impoverishing Indian society. For this reason, and a cultural affinity to the precious metal, India was for decades the world’s largest gold consumer. Import levels peaked in 2011—not coincidentally, when gold prices peaked—at nearly 1,100 tonnes (1212 tons), or 40 percent of global production. They were still 950 tonnes (1047 tons) in 2015—or 30 percent of significantly increased global production rates. However, with the rupee losing 50 percent of its value during this four-year period, the Indian government’s previously benign attitude toward gold abruptly changed. At the time, the Singh Administration attacked gold (and silver) buyers with a series of onerous tariff increases, amid a fallacious propaganda scheme that precious metal imports were causing the budget deficit to soar. In turn, yielding the relentless, inflationary decline of the rupee. It failed to stop inflation, as the rupee continued its inexorable decline—but has succeeded in driving official gold imports down, by an estimated 50 percent. To counteract this decline, a substantial black market has developed, but it is difficult to determine how much gold is entering the country via such channels. Singh’s government also introduced a gold monetization scheme to “liberate” idle gold holdings of the nation’s citizens and churches by offering to “store” said gold in return for modest, rupee-denominated interest payments. 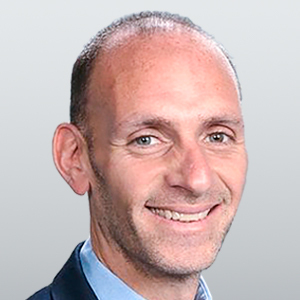 It hasn’t worked as well as the tariffs as culturally, and practically, it makes little sense. However, the more the rupee declines, the more aggressive they are likely to get with its terms. Under the pretense of reducing economic corruption, he banned all high-denomination rupee notes, giving the nation’s 1.4 billion people just a few weeks to turn in their cash. This happened in spite of many who were too isolated to even know of the decree. The goal was confiscation and control, but in the spirit of India’s history of government misinformation, was spun as a path to economic dominance. Unfortunately, the result has been a further collapse of the rupee—from 68 per dollar at the time of the decree to an all-time low of 73 per dollar today. Certainly, the worldwide currency contagion is partly to blame but unquestionably, India’s monetary policy has been among the world’s most destructive Sadly, the path to rupee destruction is unlikely to reverse any time soon—perhaps, never. To that end, it’s uncertain how Indian gold (and silver) imports will respond to the cross-currents of a declining rupee and official government attempts to prevent citizens from protecting their assets. This control extends to the burgeoning Indian Bitcoin market. This spring, financial institutions were banned from servicing crypto-related businesses. Affected institutions, like cryptocurrency exchanges, have petitioned the Indian Supreme Court for relief, but the appeal process has run into a seemingly endless series of delays, with no end in sight. In fact, cryptocurrency may be completely banned in India and despite the potentially chaotic ramifications, don’t be surprised if a movement to further reduce gold ownership takes hold.